We seek qualified teachers and interns for our Primary, Elementary and After-school Programs Please click here for more information. Julie developed an interest in the Montessori style of teaching over 15 years ago while completing her undergraduate studies. 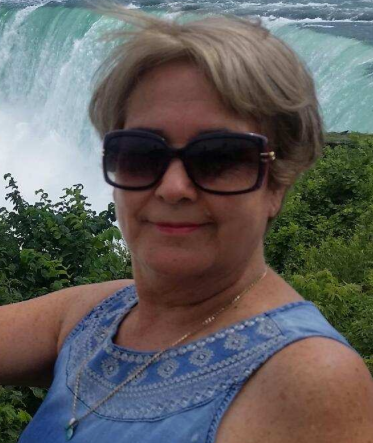 Julie taught briefly in the public sector, but was drawn back to Montessori environment due to the complexity of science, math, geography, botany, zoology, language, history, geometry and cultural studies that are offered to the youngest of students. She continues to be amazed by how each child grows as an independent learner building a diverse skill base in the primary classroom which continue to flourish and develop towards abstraction in the Montessori elementary environment. Julie is a graduate of St. Mary’s College with a Masters Degree in Education with Honors in 2008, a Multiple Subject Credential and has her American Montessori Society Certifications in the 3-6 years, 6-9 years and 9-12 age groups. She has extensive and diverse experience in teaching, mentoring and directing at the early childhood and elementary level. In addition, Julie works part-time at a local college helping to train future Montessori teachers. In her free time, she enjoys hiking, backpacking, reading, spending time with her family, and traveling. Ms. Tez has worked in the preschool setting for over 30 years and joined Napa Valley Montessori team in 2013. She holds Bachelor of Science in Chemistry from Far Eastern University. She went onto obtain her Preschool Certificate and took some Graduate Courses in Special Education at Philippine Normal University. In 2005, she completed her Early Childhood Administration Courses and obtained her California Site Supervisors Permit. 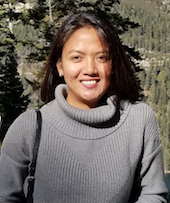 Ms. Tez has worked in a variety of environments including teaching Special Education in the Philippines, working in both traditional and Montessori preschool classrooms, owning her own school and serving as a director in another preschool program for 8 years prior to joining NVM. Ms. Tez enjoys the Montessori philosophy with its focus on an individualized approach for each child’s learning. She appreciates the quiet environment and the structure that the curriculum provides for the children at each stage of their development. Outside of school, Ms. Tez enjoys traveling, shopping and watching movies with her husband. Additionally, she currently helps with the California Mentor Network Agency that serves both Solano and Napa counties. Ms. Rosie has worked with young children for the last 20 years. Ms. Rosie was born in Mexico City, Mexico, and moved to Napa, California, with her four children in 1993. She previously worked as an executive at Pemex, a Mexican petroleum company, prior to coming to the United States. In 1997, she started working at a Montessori school while taking her Child Development courses and fell in love with the philosophy and has remained dedicated to teaching preschool age students ever since. She completed her certificate in Child and Family studies in 2001, earned her Early Childhood teaching certification and then went on to obtain her California Site Supervisor Permit in 2004. Ms. Rosie then attended the Montessori Teacher Education Center in San Leandro and she obtained her associate American Montessori Society Certificate in 2005. Ms. Rosie has taught in several Montessori classrooms, owned her own daycare in American Canyon for 4 years and went on to open Luna’s Montessori in Alameda in 2011 which is currently being directed by her youngest daughter. 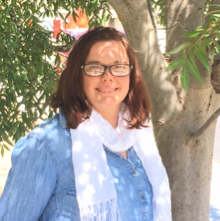 Ms. Rosie joined Napa Valley Montessori community in 2015 and is passionate about creating an environment where the children feel safe to learn and grow. She enjoys getting to know each child that enters her classroom and appreciates seeing their development through the Montessori curriculum. Ms. Rosie welcomes each coming day and continues to share her joy with each of her students during each moment of their time at school. Ms. Vanessa Monge discovered her passion of working with children over ten years ago. Ms. Vanessa is currently attending Napa Valley College majoring in Child Development while also obtaining her teaching certificate. She has experience teaching children from 2-5 years and beyond. 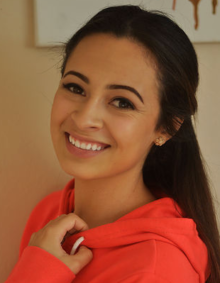 Ms. Vanessa developed her appreciation of young children through consistently working with seventeen children and their families in the American Canyon area. At Napa Valley Montessori, Ms. Vanessa enjoys helping children learn new things for the first time and admires their positive attitude towards every moment. She takes pride in creating a variety of fun and creative lessons that keep every child engaged in each step of the learning process. Ms. Vanessa is happy to be part of the Napa Valley Montessori community sharing her enthusiasm, excitement and love with the children on a daily basis..
Ms. Reina appreciates sharing her excitement towards learning by assisting in the classrooms and leading the Elementary Afterschool Program. 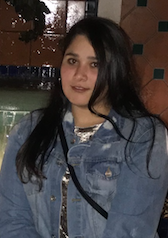 Ms. Reina currently attends Solano College where she has completed a certificate in Biotechnology and is working towards her teaching certificate. In the next few years, she plans to continue her education by transferring to a university to major in Sociology and Child Development. Ms. Reina admires the Montessori philosophy because the teacher guides the students towards activities that meet the individual child’s interests, needs and developmental level. She likes that the children can work in collaboration with one another while still concentrating to complete the task at hand. Ms. Reina is very creative; planning engaging lessons that are enjoyed both inside the classroom and in the outdoor environment. Hello to the Napa Valley Montessori (NVM) community. I am so happy to be back after a brief and productive hiatus. During my time away, I travelled, spent time with my family and increased my knowledge-base as a professional Montessorian. I very much missed NVM and working with people of common interests and visions. Looking forward, I’m excited about joining in NVM’s commitment to: help prepare students for the 21st century job market; better speak to the gifts and talents of all students; to support innovative student learning and finally to further embrace the digital/technological future as it unfolds. I have a B.A. from U.C. Berkeley and a Doctor of Jurisprudence (J.D.) from San Francisco Law School. I have been teaching for over 10 years and am trained in the Montessori method for primary, lower and upper elementary. I have taught in both private and public charter Montessori schools plus a few years in traditional public schools. I was born and raised in Los Angeles and moved to northern California to attend college many years ago. I have a wonderful and kind 22 year- old son in college that resides with me. I love to travel and had the opportunity to spend six months in Paris with my family about 10 years ago. I also enjoy long road trips, reading a good book under a tree on a nice spring day, sleeping-in on Saturday mornings and going to my cycling classes at the gym. I believe students should be encouraged to take ownership of their learning and participate in school work that is meaningful to them. My goal is to be accountable for helping students achieve significant yearly progress and to help them reach their highest potential. I always keep an open line of communication with students and parents. So, please don’t hesitate to contact me at any time, for any reason. I know we’re going to learn so many great things this year and am really looking forward to every minute. Ms. Carol Mapalo, has joined our Primary classroom. 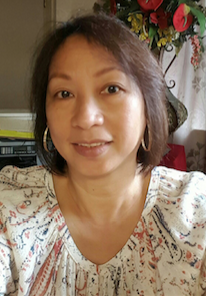 Ms. Carol grew up in the Philippines where she completed her Bachelor’s Degree in Elementary Education. She has worked with young children for several years in Montessori settings and holds her Primary Certification for children ranging from 2 ½- 6 years of age from the Montessori Teacher Education Center in San Leandro. In addition, she is currently enrolled and taking classes to obtain her Montessori Infant/Toddler Certification. Ms. Carol appreciates the Montessori philosophy because it is child centered and the children are given hands on materials to learn and discover. She enjoys giving lessons to her students both individually and as a group so that the children can watch her then have the opportunity to practice on his/her own. Ms. Carol’s daily focus is that “the children learn by doing.” She brings a calm, gentle yet enthusiastic presence to the Primary classroom. The children have appreciated her engaging lessons and circle time songs. Ms. Carol works to create a warm, caring and inclusive environment where the children are encouraged to explore, learn and grow on a daily basis. In her free time, she enjoys watching movies and cooking. Ms. Carol looks forward to working with each of the primary students and their families. Mrs. Rachel works full time as a Property Manager and is very passionate about photography. Mrs. Rachel’s pride and joy is her son Tyler, who began his journey at the age of 3 and joined the pre-school program at Napa Valley Montessori. After extensive research and countless visits to different schools around the Bay Area, she knew Napa Valley Montessori was the BEST choice. Until this very day, as her son finishes up first grade, the school continues to provide an outstanding academic program, yet an artistic unique approach to education and independency. More importantly, the school has given her peace of mind. In other words, she can be at work the entire day and not have to worry about his safety, which fell very high on her list. Being able to share one vision, creates a positive and caring environment. She is very happy to be part of the Napa Valley Montessori family and is eager to see what the future holds for her young Montessorian!